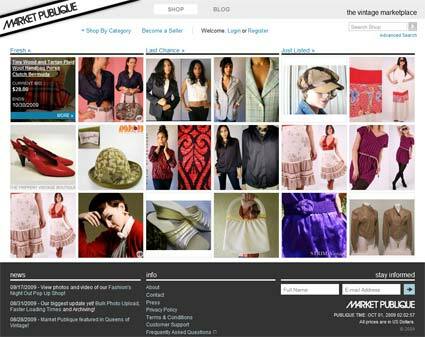 Market Publique is an up-and-coming online auction site based in Brooklyn, New York. Tailored specifically to the retro fashion crowd, they hope to carve out their niche with a steady stream of quality vintage clothing from their network of sellers. I was brought on to this project to help loosen the load of their lead developers. Mainly my involvement was in taking care of bug reports and working on a few efficiency-related revisions, and supporting the lead developers as they needed it.